You are here: Home / Personal Finance / Identity Theft: How to protect your finances and avoid identity theft? 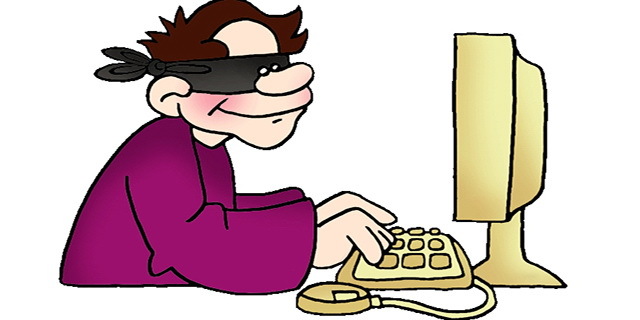 Your name, address, contact details, documents, even date of birth can be used to disturb your financial life. 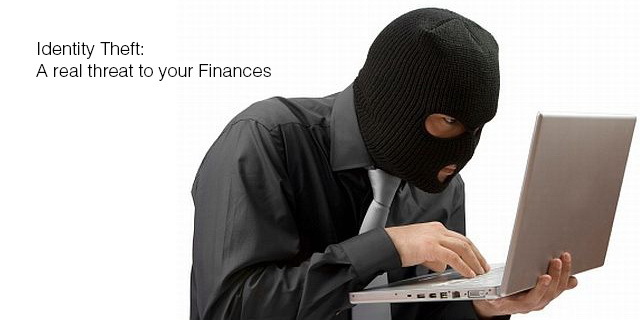 Identity theft is a serious threat to your finances and here are ways to tackle it. A lot of you may be aware of the word Identity Theft. It is someone posing to be you and acting on your behalf, without your knowledge or consent. This is a serious threat to your finances as anyone who can steal your identity can act as you to take personal loans, credit cards, insurances or even claim the policy benefits from your polices and take financial advantage at your cost. They will enjoy all the monetary benefits at your expense and the banks will harass you for repayments. To steal your identity, the offender just needs a copy of some of your documents like a PAN Card or Passport or Bank Statements and in case you feel that these are difficult to get as you guard these documents with dear life, let me tell you it’s as easy and straight forward as taking an ‘extra’ photocopy. And if this is not enough, merely your Date of Birth will suffice in most cases to commit a banking fraud from your account. Identity thieves need just one chance to play their game and often times it happens when you least suspect. There can be a personal loan or credit card in your name that you are not aware of and hasn’t been paid up and hence you will be featured in the defaulters list of CIBIL and denied a loan when you actually need it, or a insurance policy wherein someone else is a beneficiary, or the more common some online fund transfer from your account which you are completely unaware of. Enough of scaring you; let’s get to know how you can avoid all this by just being a bit careful. We often hand over our documents to investment advisors, agents, and others for various purposes. These documents can be just photocopied or xeroxed and used to get loans, credit cards etc in your name and used by other person. The best way to guard against your documents being used as a means of identity theft is to mark your documents. For instance if you need to give your documents for getting a mobile phone connection, mention on the documents the purpose for example “Purpose: Mobile Connection of company XYZ”. This way if the documents are misused, this text appears on the xerox too and will be rejected by banks or other institutes, and you have an extra layer of protection. Remember a lot of cases of identity theft have come to light where trustworthy people, mainly from within a family; brothers, cousins or investment advisors and insurance agents whom we hand over all our financial responsibilities have misused the documents for their gain. So often we get calls from marketing and sales people for various offers and plans and investments etc. Never ever disclose your date of birth in such a case even if you want to take something they are selling. Handing our date of births over phone, internet, email without being sure of where the information is going is inviting trouble. For a person intent on fraud it is a great starting point to target your identity. Remember, your date of birth is a crucial authenticating and verification detail for a lot of your stuff from bank accounts, to investments, to emails etc. All these are in potential danger if your date of birth is in the wrong hands. This is pretty common and obvious. Your ATM or Credit and Debit Card PINs should not be shared openly with anyone. Remember it not your BBM Pin that you flaunt it. Also be careful with your CVV numbers, it is a 3 digit number at the back of your cards. All these can be used against you to make fraudulent transactions in your name or in your account. Passwords of anything should be equally guarded. Also if possible use the ‘virtual keyboards’ that a lot of banking site provide. This is again an added layer of security. Always have multiple authentication options for banking and other online and phone transactions. Always opt for email and sms alerts for any transaction that takes place in your account. Always opt to make payments after generating OTP to your registered mobile number. It is a one-time password that is sent to your mobile number during an online transaction and until you input this OTP you cannot proceed with the transaction, thus providing an added layer of security. Never discuss any personal information on the phone or email with a person you do not completely know. They can be investment advisors from reputed companies, but till the time you know them personally, refrain from handing over any information without meeting personally. It is always better to be safe than sorry. Often times you will get random marketing calls saying that they have an excellent plan for you or your number is chosen from a lucky draw etc and then ask for details of your name etc. Do not give out any details and be lured by free stuff and lucky draws. At the most you may miss out on some free stuff, but if it is a fraud, you will miss the things you already had. Also do not use cyber cafe etc for making any online transactions as you do not know how secure they are. The most overlooked place where identity theft can easily take place is a printing and xerox shop. While handing over your pen-drives to get print outs of your documents, always insist on being there overlooking the operator and making sure that there is no copying of your documents. Just tell them to open and print directly from your drive and not copy it. Also once the print command is set; make sure the document is closed without saving. This way there is no chance the copy is saved on their machines. Also make sure the number of printouts is only as much as you asked. See to it that they do not print multiple copies of your documents. While taking xerox make sure no extra copies are being made by the vendor. All these small steps will guard your documents against possible missuse. Identity theft is real and it can happen to anyone. How the mind of a fraudster works only he knows, but for us, we can be a bit more vigilant and make sure we exercise caution while dealing with our personal information and be safer. Hope this post helped, as usual feel free to leave your views in the comments below.